I found that there are many duplicate files on my mac. Do you have such a situation? Yes, I have the same situation with you. But I used Duplicate Finder by iMyMac to quickly find the duplicate file and delete them. You can try it. Next, Let me tell you how to find the duplicate file with quick ways. Mac computer is one of the well-designed machines which has the ability to help you deal with either your work or in your everyday life. f this happens, it is then necessary for you to manage your files especially those duplicate files on your Mac. Part 2. How Can I Find and Remove Duplicate Files on Mac? One of the reasons as to why you are running out of storage on your Mac computer is because of some duplicate files. At some point, you might be over thinking if why is your Mac computer duplicating your files right? Well, there are actually many reasons why. One reason is that when you try to move a patch of images to your Mac and have them viewed in Photos App. When you do this, you are actually making two copies, one copy is moved to your folder and the other copy is in your photo library. Another reason is when you tend to view your email attachments first before you download them. In some cases, once you try to open one of your email attachments, your Mail app automatically downloaded a copy of the file that is why you automatically have two copies of those attachments. One more reason for having a duplicate file is that when you unknowingly download a photo of the file twice. And if you have tried before moving a file to your external drive without deleting the original copy, that is also one reason for duplicating it. You can actually find your duplicate files on your Mac computer manually. But if you do so, you will consume a lot of time just by sorting out thousands of duplicate files on your Mac computer and that could also be exhausting on your part. Never worry because we will show you the best and easiest ways on how you can find and remove those duplicate files on your Mac computer. You can find and remove your duplicate files like photos, videos, music or documents by using your Terminal command or by using a specific duplicate file finder software for Mac computer. Either way, can both work. Duplicate Finder by iMyMac will be the best duplicate file finder software that you can use to find and remove all duplicate files that are stored on your Mac computer. This software is a safe, well-designed and a user-friendly tool. It can scan your Mac computer and can display all your duplicate files. 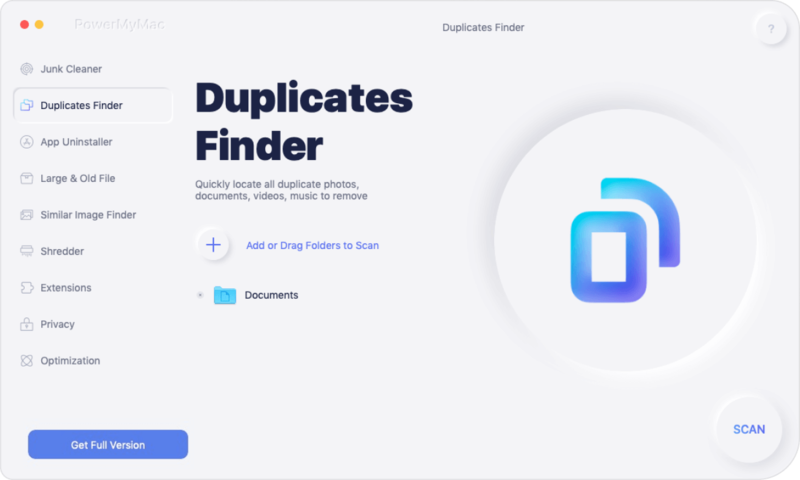 The duplicate finder of iMyMac can scan all your Mac folders like your Downloads, Documents, Desktop and it can detect your duplicate photos, videos, apps, documents and more all in just one click of a button. Free Download and Try to find your duplicate files. Let your mac have the best life. 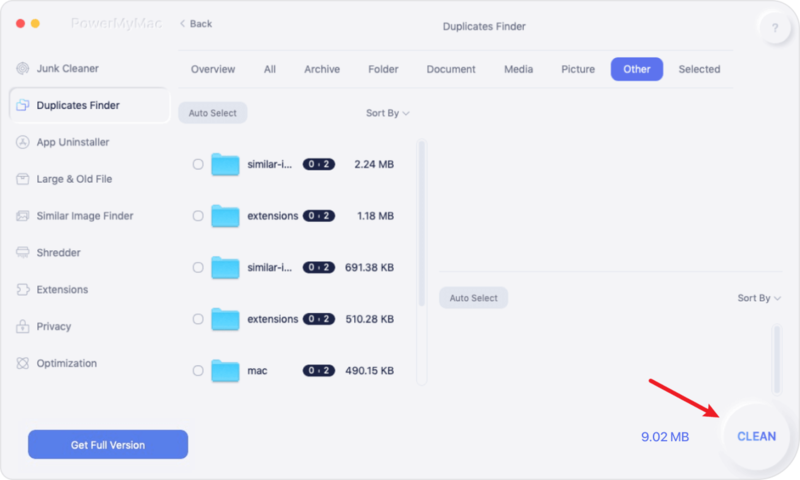 iMyMac duplicate finder can detect duplicate files not only a same name of the files but also by their size, the date it was created and their file type. 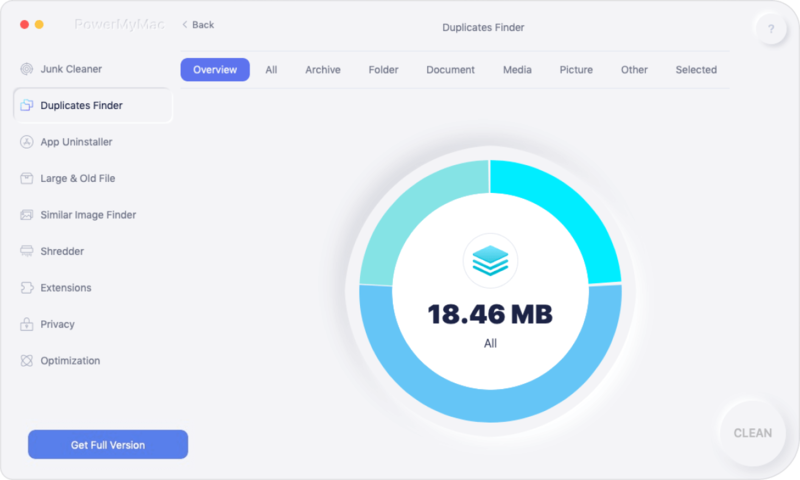 The software also allows you to preview your files like your photos, documents so that you won't be able to mistakenly delete your important files. It can also clear your system caches and junk files. To use iMyMac in finding and removing your duplicate files just follow the steps below. Step 1: On your Mac computer, install Fonedog iMyMac software. Launch iMyMac and select "Duplicate Finder" found at the left side of your screen. Open the desired folder by choosing the path and then click "Scan" button for the program to check your duplicate files. The scanning process may take up a few minutes depending on the number of the duplicate files it was scanning. Once the scanning process is complete, all duplicates will be shown on your screen. You will be able to view your photos, videos and other files on your screen. Select all the duplicate files you want to remove. When you're done, just click on "Clean" to delete all the selected duplicate file. Using Terminal Command can find your duplicate files quickly. However, just to give you a headstart, this method is for those people who had barely used terminal before. It might mess up your Mac OS X if you enter the wrong command. Follow the steps below to use this method. # 1: Launch Finder and type terminal for it to bring out the Terminal Tool. # 2: Select a folder that you want to clean its duplicates and locate them with a cd command in Terminal. # 3: Copy this command and then click "Enter". # 4: A file named txt. the duplicate will then be created in the folder that you have chosen earlier. You can find and delete duplicate files manually according to txt. file. *Using this method have an inconvenience side on your part because you will still manually locate and delete duplicate files one by one. Searching using Terminal sometimes is not accurate in Mac. Therefore, with the shown methods above, iMyMac will still be highly recommended for you to find duplicate files and delete them. You can have this software downloaded on our official website. Having the iMyMac installed on your Mac computer can be very handy because once you feel like your Mac is running slow or you feel like you have too much data stored on your Mac, you can just simply use the iMyMac software and get your computer clean up for you to experience a better speed like it was newly bought. iMyMac can locate and remove all your duplicate files, it can clean up your junk files and more.